Going It Alone: Can California’s K-12 School Districts Adequately and Equitably Fund School Facilities? Overall, these findings suggest that many districts—particularly those serving high-need students—risk grossly underfunded facilities budgets, deteriorating schools, and declining educational outcomes if they are left on their own, without state support for capital needs. The report concludes by identifying policy reforms that will move California to a more coherent system of school facility finance that promotes adequacy, equity, public accountability, and affordability. 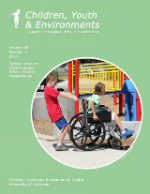 K-12 public school facilities need regular investment to ensure student health and safety and support educational programming. Yet, the future of K-12 school facility funding in California is uncertain. A strong state-local partnership has existed that funded new construction, modernization, and other investments in public school facilities across the state since 1998, under the School Facility Program (SFP). The Governor, members of the legislature and other key stakeholders have identified concerns about the state’s approach, but they have not yet formulated a consensus going forward on the state role and responsibilities for school district facilities. 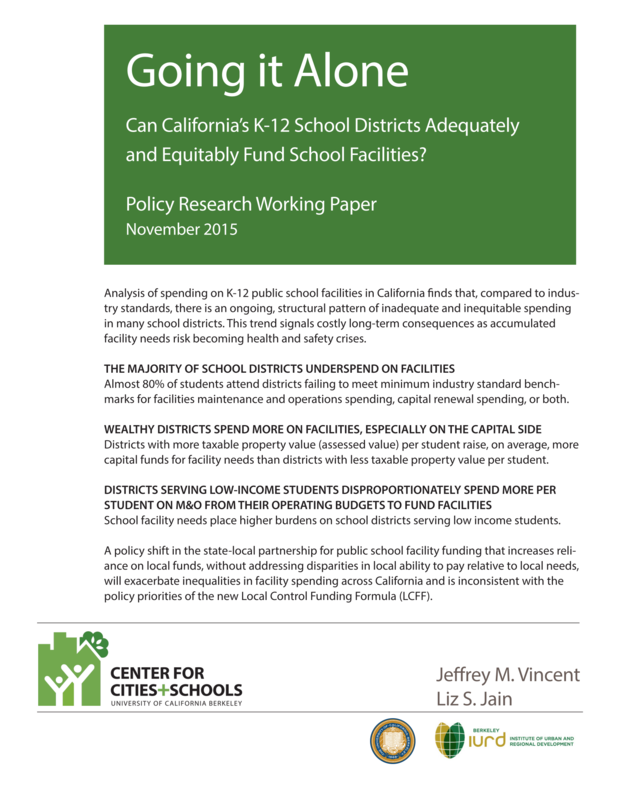 To inform the school facilities funding policy debate among the Governor, the state legislature and the public, this brief provides an analysis of data on facilities spending by California school districts. It proposes principles to guide policy decisions about the State of California’s facility funding role and provides data-driven indicators that can be used to evaluate the application of the principles. 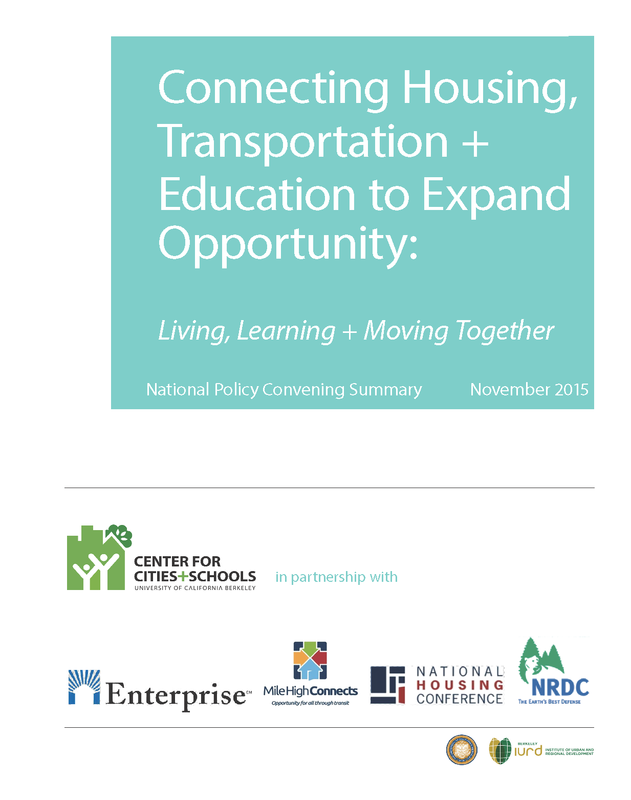 Finally it offers approaches to a state and local partnership for K-12 facilities that would advance the principles of equity, local district accountability, fiscal stability and predictability, facility adequacy, and program simplicity.